Megan is a 13-year-old teenage girl, who realises that she has psychic powers that others do not have. At first, she tried to talk to her mother about them, but with disastrous consequences, so she learned to keep quiet about them. However, some people do offer to help and an animal showed a special friendship, but they were not 'alive' in the normal sense of the word. They had passed on. Megan has three such friends: Wacinhinsha, her Spirit Guide, who had been Sioux in his last life on Earth; her maternal grandfather, Gramps and a huge Siberian tiger called Grrr. Wacinhinsha is extremely knowledgeable in all things spiritual, psychic and paranormal; her grandfather is a novice 'dead person' and Grrr can only speak Tiger, as one might imagine and most of that, of course is unintelligible to humans. In this episode, Megan reads about a lost cat called Smokey. She feels very sorry for the cat and his owners. She fears that the cat has been injured, so she begin's a weekend of search. A mysterious girl in the local woods gives her a strong clue as to where Smokey is so Megan investigates. When she repors back to the cat's owner, a Mrs. Williams, Megan gets a big surprise, which changes her life considerably. 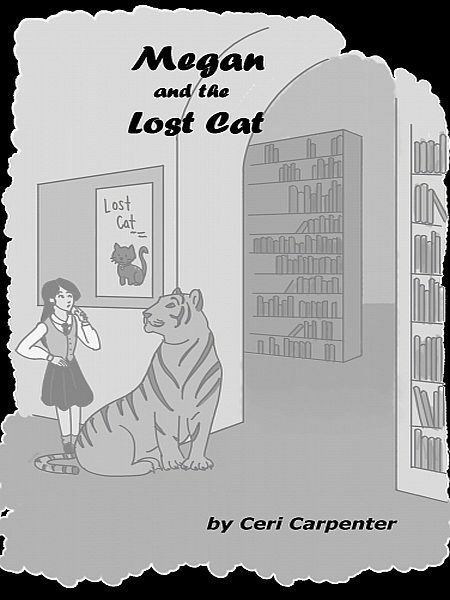 Otros ebooks de Ceri Carpenter.